●	Ensuring implementation of the Marketing strategy - including campaigns, events, digital marketing, and PR. ●	Work closely with product management team to define marketing materials and programs. ●	Manage social media presence and direct programs to improve social media reputation and recognition. ●	Developing and delivering marketing and communications strategies for the organisation. ●	Professional chartered marketer (CIM). ●	Confident, driven and dynamic leader. ●	Entrepreneurial mindset with the ability to spot original branding opportunities. 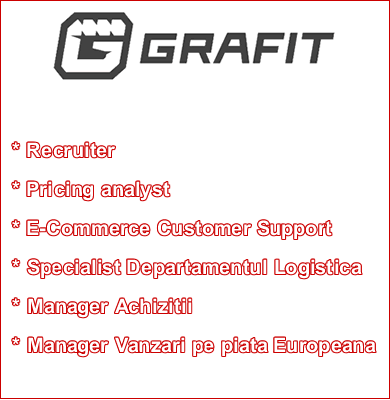 ●	Languages: Romanian and Russian - fluent, English – upper intermediate. If you find yourself in this description and this vacancy sounds interesting to you, please send your CV to the HR-Consulting e-mail: ba50@search4staff.com ; Please, indicate the relevant vacancy code MRK in the subject line or resume.